Has your company missed out on EMI too? 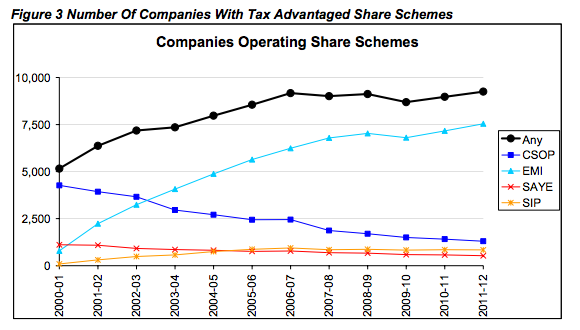 Enterprise Management Incentive share option schemes (or ‘EMI’ for short) have long been a useful tool for entrepreneurial fast growing companies that wish to both tie-in key employees and incentivise them tax efficiently with the promise of jam tomorrow in the form of a slice of the share equity. The peculiar thing as evidenced from … Read moreHas your company missed out on EMI too? When tax planning can be good! Tax planning is getting a real battering at the moment – in some cases, for all the right reasons – but there are many instances where effective tax planning is essential for fast growth businesses and, in fact, positively encouraged by the government. Aside from printing money to erode away much of our UK budget … Read moreWhen tax planning can be good! EIS & EMI – Happy marriage or grounds for divorce? Incentivising key employees by giving them an equity interest in the company not only makes sense from a motivational and employee retention perspective but it also makes good financial sense when cash is tight and tax can bite nastily on cash bonuses. Many UK growing companies will qualify for the Enterprise Management Incentive Scheme (commonly … Read moreEIS & EMI – Happy marriage or grounds for divorce? EIS and EMI – Whaaaat?!!! I don’t know if there’s something in the water around here right now but I seem to spending a huge proportion of my time advising clients on either: the benefits (and potential pitfalls!) of the Enterprise Investment Scheme (EIS) aimed at tax efficient investments into fledgling fast growth companies and rewarding employees under an approved … Read moreEIS and EMI – Whaaaat?!! !